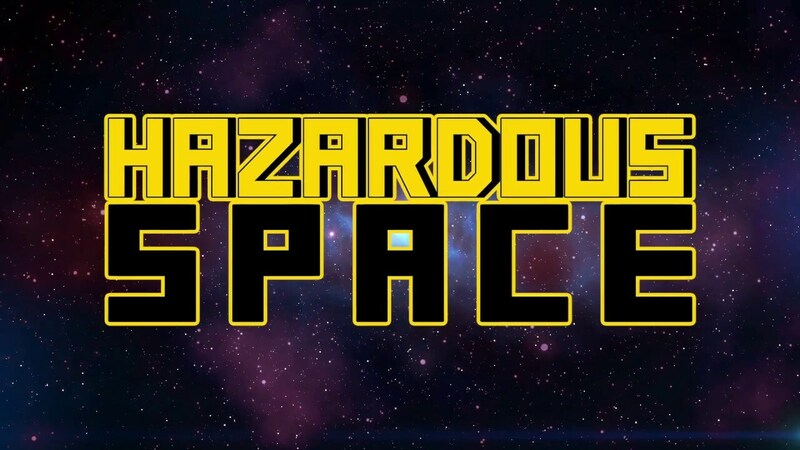 Hazardous Space developed by the indie Coffee Cat Games is a 2d dungeon crawler rogue-like with turn-based combat. In the game we will have to level up our hero and use weapons of all kinds to reach the way out. We are in 2115 in the Phoenix Constellation. 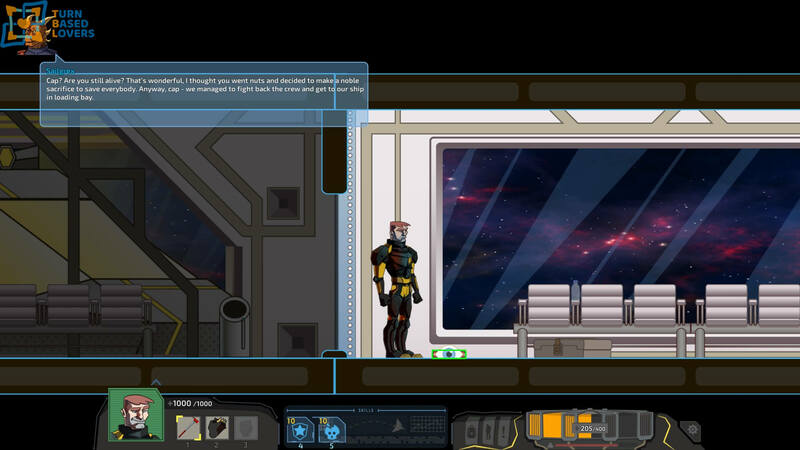 Our hero, Max Carnage has to investigate what happens aboard of Wanderer research ship. He will find only corpses and zombies coming back to him. 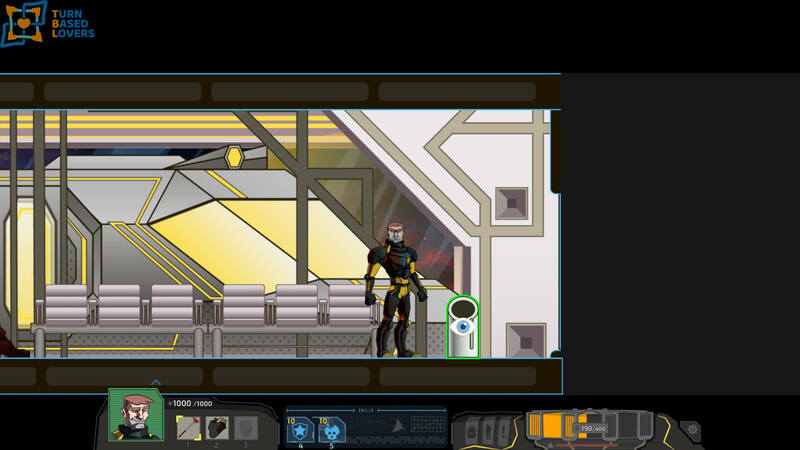 Helped by Enigma and Sailgrex our hero must find an escape from the ship. The story is reduced to the bone because the game focuses on the combat phase. 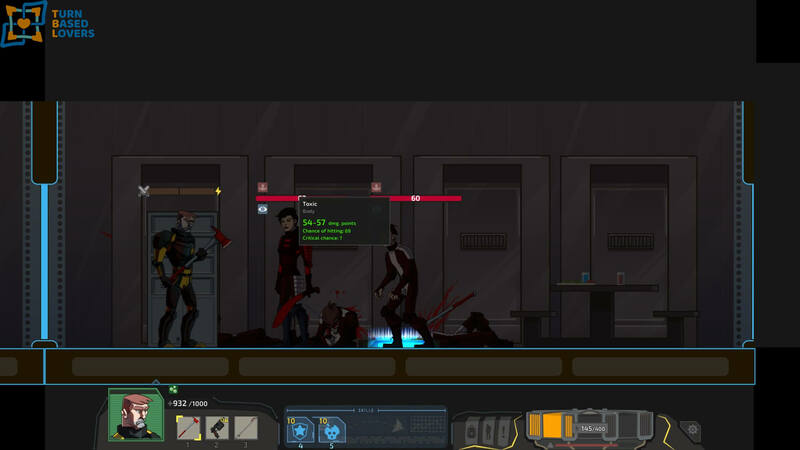 As we said, the game focuses on turn-based combat and exploration of the ship infested with enemies. We will find ourselves driving Max Carnage, and guiding his escape route from the ship by fighting. For each attack, we will be shown the probability of hitting the opponent, the minimum and the maximum possible damage and the critical chance. 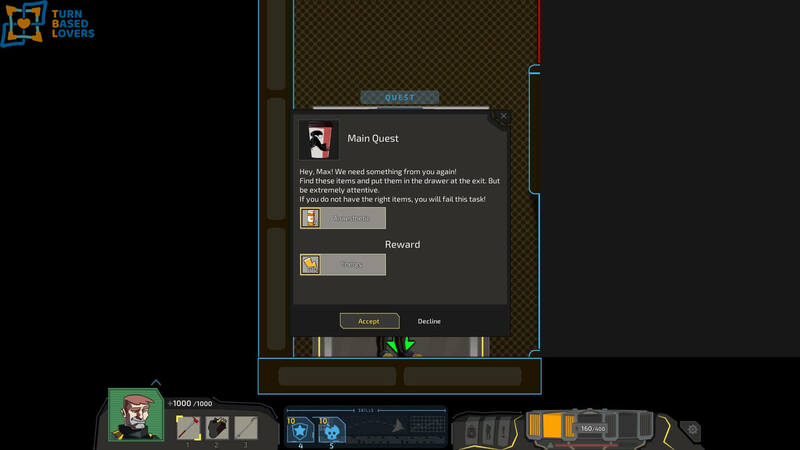 In Hazardous Space we will move our hero with A D W S keys on the keyboard to move right and left, or up and down to enter elevators and transporters in a style similar to the exploration phase of DARKEST DUNGEON. 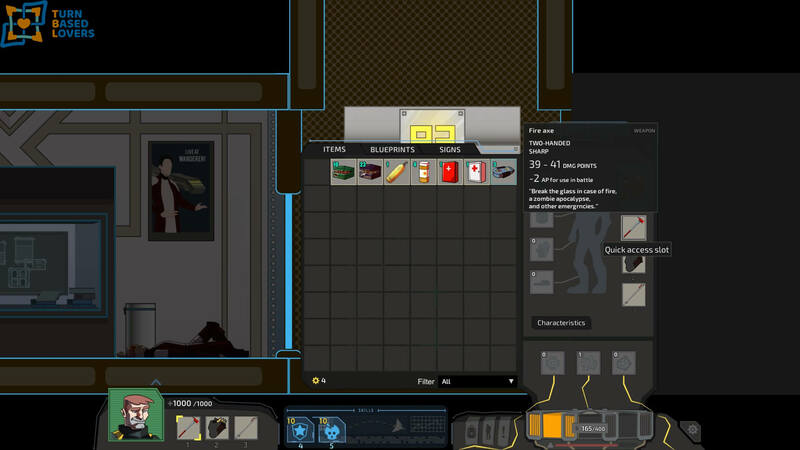 The randomly generated ship have rooms that will contain objects of interest or bodies to be analyzed to find objects, ammunition or energy, very important for our survival. During the exploration, we will be given side quests to complete and these quests will guarantee us unique items. When we will see the little eye on an object, it means that we can interact and find something good. 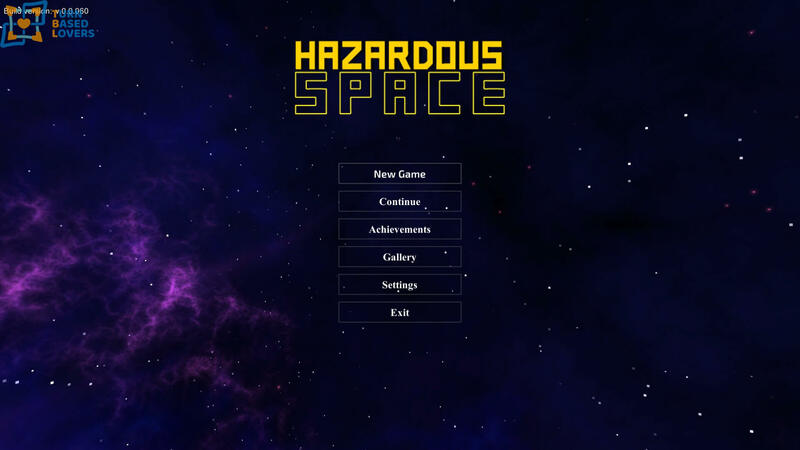 Hazardous Space is a game that focuses on the combat phase. In each room, we visit we can make our meeting with the enemies and at that point, the combat phase will begin. In combat, we will alternate our turn with that of the enemies. We can choose to attack, use our skills (as shields to absorb damage, or to enhance our offensive features) or use objects of various kinds. In Hazardous Space there are weapons for close combat, firearms, grenades. Each enemy is vulnerable to a certain type of weapon, so we will have to bring several weapons into combat so that we are not unprepared. For each attack, we will be shown the probability of hitting the opponent, the minimum and the maximum possible damage and the critical chance. We will also have to choose carefully when to use firearms since ammunition will always be limited. Our hero can use different weapons, armour and items. We can also develop blueprints by findings the right items requested. We will have to keep our energy bar under control. Energy will help us to use skills and to increase the characteristics of our hero. The energy bar will be able to fill it thanks to specific objects and thanks to the corpses of the defeated enemies and those that we will find in the exploration phase. 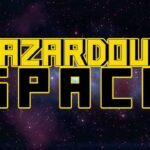 The challenge level in Hazardous Space that is presented to the players is quite challenging, as we advance the fights will become increasingly difficult and only a proper growth of the character will allow us to reach the exit. If we are defeated instead, it will be game-over, we will have to start from the beginning. At each run, we can unlock perks to take with us in a new campaign. 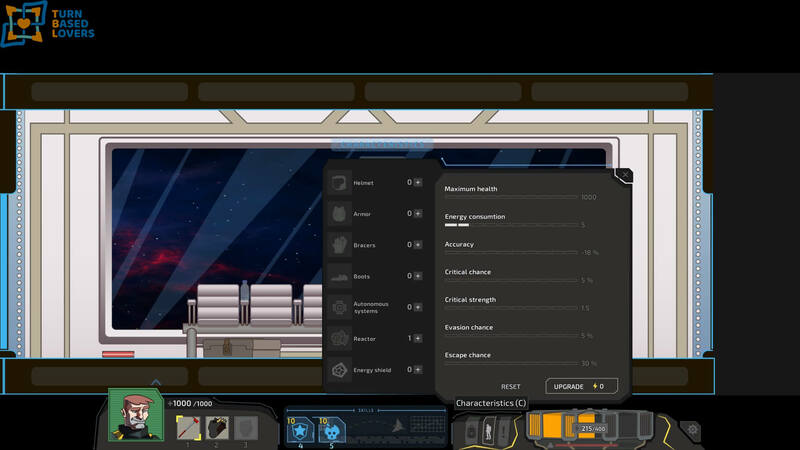 The graphics are essential as well as the music and the effects even if compared to the first builds of the game, now Hazardous Space is showing personality. Coffee Cat Games are developing the game that is currently in the early access phase. There are constant updates that add new features, weapons, objects and redefine the graphics part of the game. A game that I recommend you try, especially if you do not love the chatter. Let me know what you think in the comments, contact me on twitter or join our Steam community.